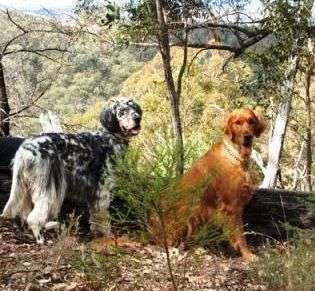 Relax, Unwind, Discover at Bemboka River Cottages near Bega on the South Coast of New South Wales ..Two modern country pet friendly cottages nestled into the slopes of the misty blue ridges of the South East Forests National Park. 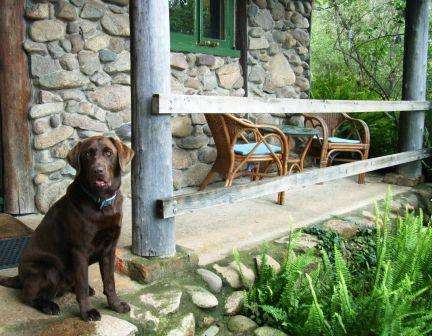 Pets can roam the large shady gardens, enjoy the walking trails and rocky river - a perfect restful retreat or a romantic hideaway for couples, families and doggy holidays. 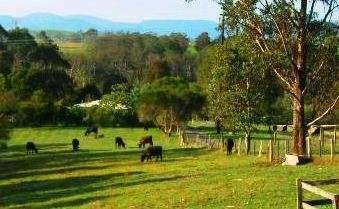 Spectacular panoramic views of the Bega Valley, with a variety of birdlife, echidnas, platypus, wombats and farm animals. Both cottages have wood fires to keep you cosy in winter with freshly baked bread on arrival and our farm eggs with starter breakfast provisions in the cottages. Our cottages are spotlessly clean, budget priced, with special rates for families. 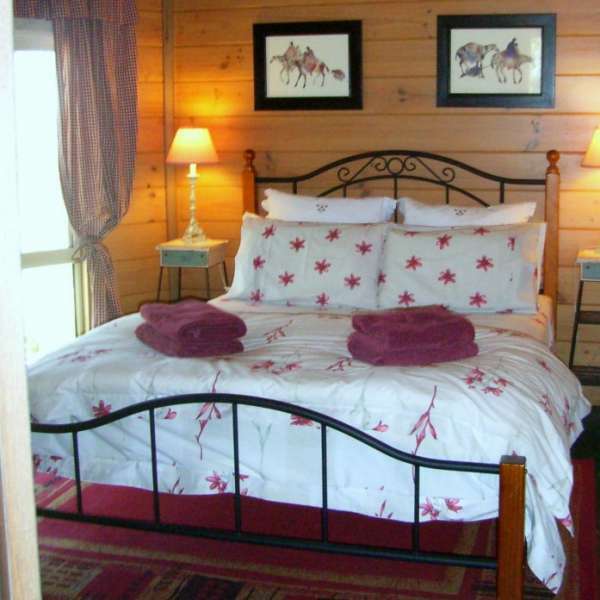 FAMILY PACKAGE - 2 adults, 1 to 3 children under 15, $180 per night (2 nights minimum), $200 high season. Bemboka River Cottages at Bega on the South Coast of NSW..................Large shady fenced gardens for pets to enjoy. Pets are allowed inside in main area. Modern country cottages, cosy, restful, romantic, Family friendly, Walking trails, Spectacular scenery. 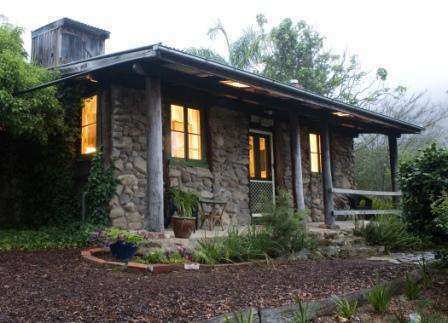 On the edge of the South East Forests National Park, Close to beach, or snowy mountains area, Markets, art and craft.